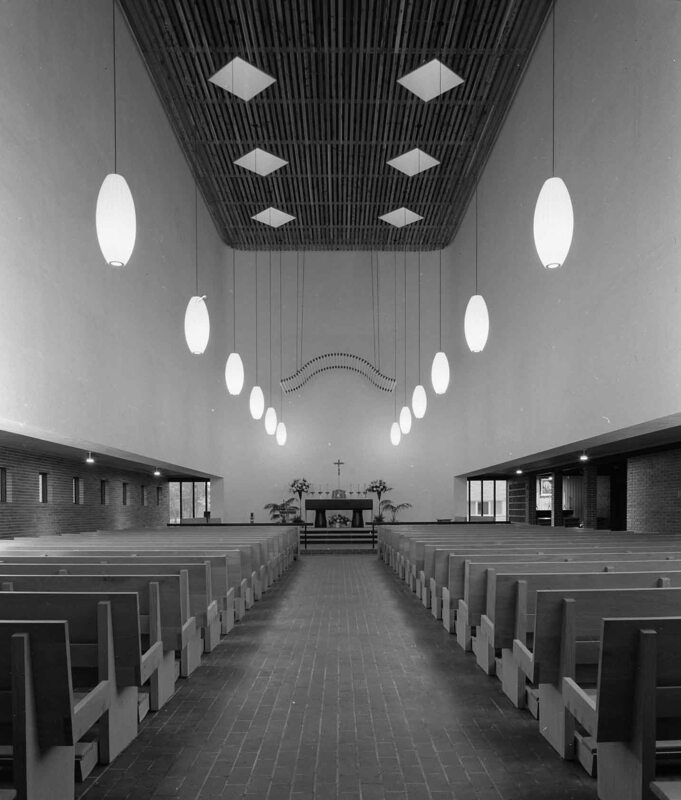 Please join us for a free tour of this stunning mid-century College, opened in 1958 to facilitate Catholic education within the University of Manitoba campus. The various brick wings converge together at Christ the King Chapel with exquisite exterior and interior walls that are dramatically sheathed in turquoise mosaic tile. The Chapel itself is absent of pillars and the design is like the Arc de Triomphe. The original architectural style proposed by Peter Thornton was maintained throughout the complex. Throughout the building there are works of unique art by Winnipeg craftsman and goldsmith Ludwig Nickel. The College also features a distinctive tall Belltower whose official first peal occurred on New Year’s Eve 1967 and was broadcast over the CBC. The Tower serves as a local landmark and tolls the quarter-hour across campus. After the tour the College’s Dean of Studies will host tea and treats in Hanley Hall.